Ancient Chinese culture, before the imperial era (from 221 BC), has obscure beginnings. Later invasions and contact with foreign cultures has colored Chinese culture, but the underlying forms established during the Shang and Zhou eras still appear in modern Chinese culture in everything from religion, to traditions, to dress, to writing in characters. The Shang people (c.1600–1046 BC) developed cultural forms such as pictographic writing, typical foods and clothes, and emphasizing large-scale construction projects. These traditions were emulated afterwards in the Zhou era (1046–221 BC) when Confucian philosophies developed, the imperial dynasties, and modern China. Many historians use the phrase "ancient culture" to mean the culture of the Shang and Zhou dynasties. Imperial culture began with the Qin Dynasty in 221 BC. During the imperial eras, the dynastic courts and educated leaders relied on the historical records of Sima Qian as the cultural model for their empires. Chinese have traditionally believed that the Huaxia tribe originated Chinese culture. Ancient texts say that the Huaxia lived in the Central Plain near Beijing hundreds of years before the Shang Dynasty (1600–1046 BC) started and spread westwards and southwards along the Yellow River basin. They have traditionally had this belief because the foremost ancient Chinese historian, Sima Qian (~130–86 BC), described that the supernatural, Yellow Emperor and his victorious Huaxia tribe were the origin of the Han people and their civilization and culture. The Records of the Grand Historian 史记 by Sima Qian (~130–86 BC) presented the history of the prior two millennia. It is said that his history, Records of the Grand Historian (太史公書 Tàishǐgōng Shū or 史记 Shǐjì), that was written before 86 BC before he died about the foundational text of chinese civilization. his work along with texts that are attributed to Confucius, and other historians modeled ancient culture. His writings about the founding of the early civilization, their ancient traditions, philosophy, and religion, as well as his biographies of famous people such as Confucius (551–479) and the first Qin Emperor, Qin Shi Huang, basically defined ancient Chinese culture for the last 2,200 years. Chinese people consciously or unconsciously have modeled their lives on Sima Qian&apos;s accounts. Some of Sima Qian&apos;s history of the Shang (c. 1600–1046 BC), Zhou (1046–226 BC), and of the first Emperor of the Qin (259–210 BC) have been partially verified by archeological discoveries. For example, Sima Qian wrote the names and some biographical details about many Shang rulers who lived 1,000 years before his time, and 23 of these names were found in Shang oracle bone records discovered during the past 100 years. This lends credence to his writings about the origins of the Xia of which there is as yet no archeological evidence. So, whether Sima Qian&apos;s writings accurately reflected the early ancient culture or are myth and construct, for thousands of years, people thought his histories were true. Following in the tradition of ancestral veneration and religious esteem of the Xia and Shang Dynasties, they imitated and adopted the culture he described as their own. 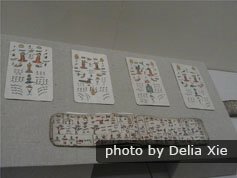 A Shang oracle bone display at the Yinxu Museum in Anyang exhibit some of the earliest pictographic writing samples. Historical records from the Shang era (1600–1046 BC) are scanty, but ancient Chinese historical records that date from about 2,200 years ago say that the Han people originated from the Huaxia tribe of the Yellow Emperor who lived on the Central Plains. For thousands of years, people have believed the tradition that the Central Plain was the original domain of the Yellow Emperor. Sima Qian described that the Yellow Emperor won wars around 2500 BC to become the ruler of the Central Plains, the original heartland of the the Yellow Emperor&apos;s Huaxia tribe, and the lower reaches of the Yellow River. His and other ancient accounts, such as the Bamboo Annals that were discovered in 281 but written six centuries earlier, provide evidence that that the Yellow Emperor established a capital city called Zhoulu in the Central Plain that was perhaps near Beijing. The histories say that the descendants of the Huaxia, the Xia Dynasty, were notable for carrying out huge long-term construction projects involving thousands of people to control Yellow River flooding and thereby benefiting by abundant harvests. Expensive large-scale landscape-altering construction became a tradition in successive empires and is still a hallmark of Chinese culture today. It is written that one of the Yellow Emperor&apos;s descendants became the first king of the Xia, and he began the Xia Dynasty by making his son the ruler of the kingdom. In this way, he set the tradition of multi-generational hereditary clan rule of kingdoms and empires, i.e. dynasties, that was followed ever after until the end of the Qing era in 1912. Based on ancient texts and archeological evidence, the Shang Dynasty (c. 1600–1046 BC) and Zhou Dynasty existed from about 1600 to 221 BC. These empires were in the Central Plain and the lower and middle reaches of the Yellow River. They developed an ancient culture that later empires emulated, and many of their cultural traits are still a part of Chinese culture. Though there is little archaeological evidence about civilization in the region of modern China before 2,000 BC, there is speculation that the Erlitou site (1900–1600 BC) on the Central Plain is a Xia city since it was inhabited during the period of time the Xia Dynasty is said to have existed. The Sanxingdui people had a clearly different method of bronze craftsmanship and a distinct artistic style than the Shang. The Shang and Zhou treasured writing, and this in part allowed them to survive for such long periods of time. Little is known about the cultures of the civilizations that neighbored the Shang Empire such as the Sanxingdui. However, no samples of writing has been found in the Sanxingdui site northeast of Chengdu or at other Shang-era sites. The Sanxingdui did not undertake large-scale construction either. It is clear that the culture of the Shang and Zhou were distinctive in that they were literate and emphasized large-scale construction, and they had a distinctive artistic tradition. Archaeological discoveries about the Shang show us that they had peculiar cultural traits such as an emphasis on keeping records in pictographic writing, worship of Shangdi, and a propensity for major multi-year construction projects. Like the Chinese of more recent times, they had favorite instruments such as gongs, bells, and flutes, and they drank tea and wore silk garments. They developed artistic motifs, religion and political philosophy that the people have followed for the last 3,000 years until present times. Ancient Chinese culture from about 3,600–2,200 years ago underpins modern Chinese culture in everything from traditions to religion to writing: see how. 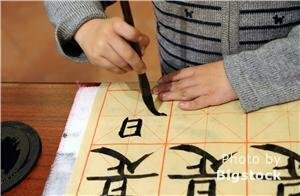 The Shang initiated the use of pictograms for writing. Archaeological discoveries show that by 1200, the Shang were writing in pictograms that were somewhat similar to the characters used today in Chinese writing. Scholars have discovered that some characters such as the word for father, 父 fù, look somewhat similar to the characters that the Shang wrote. Modern characters are composed of small pictograms. For example, the top pictogram in the character in the picture is the sun. 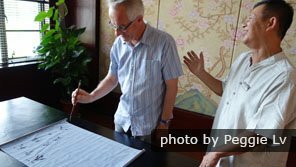 The Shang seemed to rely heavily on writing for record keeping. 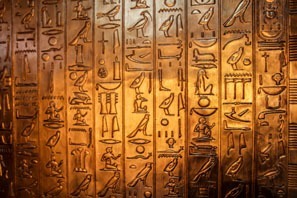 Their inscriptions have been found on tens of thousands of oracle bones and on their surviving bronze metal creations. Writing was probably an important feature of daily life, but most of their writings have been lost since they would have written them on parchments or others things that deteriorated. 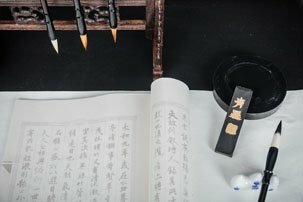 This emphasis on writing and education was an important part of ancient culture, and it was also important in all the imperial eras beginning with the Qin conquest in 221 BC and ending in 1912. The Shang and Zhou emphasized the importance of historical record keeping and venerated the records, and later people did too. 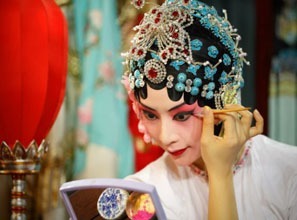 This is a key aspect of their ancient culture that is still seen in modern Chinese culture. The Shang produced large, heavy, and geometrically intricate bronze objects in characteristic styles that the Zhou clan who were initially subjects of the Shang Dynasty continued after they took over the empire. 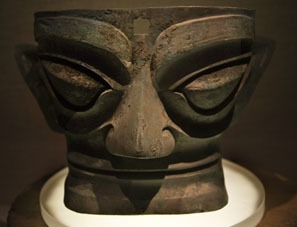 Their bronze work was very different in style than the bronzes of the contemporaneous Sanxingdui civilization in Sichuan even though it is known that there was trade between the two cultures. It shows that the ancient people of the Shang and Zhou dynasties maintained a distinct artistic culture with their own motifs and never adopted the alien style of the Sanxingdui. Anyone familiar with Chinese artistic style can see that the Sanxingdui masks&apos; facial features are very different than those of ancient Chinese art and that the geometrical patterns and decorations of the Sanxingdui are foreign. The Sanxingdui bronze object pictured below for example seems oddly irregular and off-balance, with projections seeming to defy the center of gravity, but the people of the Shang and Zhou and succeeding eras generally created objects that are geometrically balanced around the center of gravity. This sense of proportion and order has always been a characteristic of Chinese art and craftsmanship. 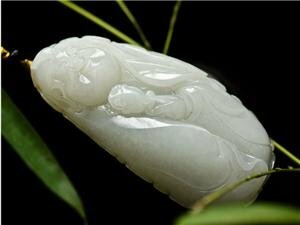 Jade is a lustrous and durable semiprecious stone long used for jewelry and art. The Shang prized jade objects unusually highly compared to other cultures, and the people in the Zhou era did as well. Archeologists have discovered a substantial quantity of jade ornaments, artworks and other objects that were made for ritual ceremonies and decoration. The Shang even used it to make body armor, and in later eras, royalty were encased in jade burial suits. Jade objects had religious significance, and this is an unusual tradition of ancient culture that many modern Chinese retain. They consider it to be quite an auspicious material, and many still wear it as an amulet as you can observe in China today. 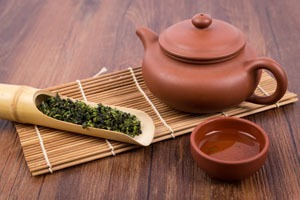 Green tea brewing is another ancient Chinese tradition carried on in modern times. 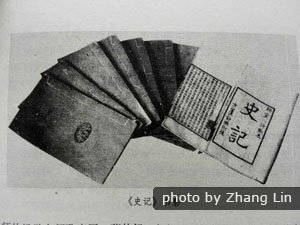 Archeologists discovered tea in a 2nd century Han emperor&apos;s tomb, and ancient records say that it was considered a medicinal drink in the Zhou era. 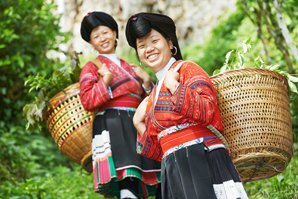 It is thought that tea was first cultivated in Yunnan during the Shang Dynasty era. From there, the custom of drinking tea spread through the Zhou era states and then to other countries. During the Tang Dynasty and afterwards, tea was a major export to the Tibetan Empire along the Tea Horse Road, and it is still China&apos;s most popular natural health beverage. Other than water, green tea is the most commonly drunk beverage in China. Chinese produce more green tea than any other kind of tea (black, red, green, white). About 80% of the world&apos;s green tea is grown in China. Chinese commonly consume dozens of varieties of tea. Another Chinese characteristic stemming from the ancient past is the love of silk. Chinese people were the inventors of silk fabric. The earliest example of silk fabric dates from 3,630 BC in Henan. Silk cloth manufacture was well advanced during the Shang Dynasty era. The wife of the Yellow Emperor Huangdi was having tea under a mulberry tree when a silkworm cocoon fell into her cup. As she watched, a strand of fiber unspun from the cocoon, and she realized that the strong filament could be used to make cloth. Thus, an industry was born. She taught her people how to raise silkworms and later invented the loom. 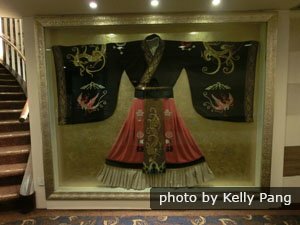 Whether or not this story is true, it is known that the Shang and then the Zhou had a tradition of sophisticated silk weaving. They traded in silk, and a Shang-era silk garment was found in a contemporaneous tomb in Egypt. Silk weaving and the preference for silk is another cultural tradition that continues in modern times. Mainland Chinese produce more than half of the world&apos;s silk. The Shang had a belief in a supreme god called Shangdi, who represented Heaven. In the Zhou era, it was believed that Shangdi presided over big issues such as war, harvests, natural disasters, and the succession of dynasties. Sophisticated ceremonies such as the annual Prayer for Good Harvests by the emperors became part of Chinese tradition. 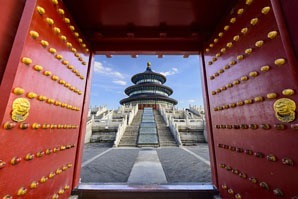 See the Temple of Heaven. The Mandate of Heaven principle meant that China&apos;s rulers were revered as the representatives of Heaven on earth, and so emperors enjoyed the utmost respect, bordering on worship... as long as everything was going well. A key political concept passed down from the ancient eras is the concept of the Mandate of Heaven described by Sima Qian and thought to have been espoused by Confucius. This idea is also somewhat original to the Chinese, though it is reflected in other ancient cultures around the world. The ancient Chinese believed that if a dynastic clan or a particular dynastic leader became corrupt or misruled, "heaven" would signal that it was time for a change of dynasties via various omens such as natural disasters, signs in the heavens, ominous dreams, prophecies, etc. The ancient historical accounts and some recent archaeological evidence show that the people of the Zhou era believed that the first Zhou king conquered the Shang Dynasty because the Shang lost the Mandate of Heaven. They believed that the first Shang King defeated and conquered the Xia Dynasty in the same way. The Zhou believed that the last Shang king was very corrupt and misruled so badly that he made the people suffer. He killed his own son and tortured and murdered his ministers, so he lost Shangdi&apos;s Mandate to rule. Then the last Shang Emperor was defeated by the Zhou rulers because his own troops and slaves rebelled and joined the Zhou in 1046 BC. From the fall of the Qin Empire onwards, a series of serious natural disasters and the large loss of life were interpreted by the populace as signs that a dynasty had lost the Mandate of Heaven, and almost every major empire and large kingdom since then has fallen after such a serious of disasters. The people rose up in rebel armies and turned in revolt against the rulers as it is said that the Shang slaves and troops rebelled against the last Shang emperor. China Highlights customers appreciating ancient Terracotta Army soldiers that were made to protect the First Emperor in the afterlife. The Shang also worshiped their own ancestors and notable dead people. They believed the dead souls could both harm and help people, and this key ancient belief in ancestor worship is still current in Chinese culture and most Chinese worship their ancestors. These concepts were part of the folk religion. Since the Shang believed that the soul continued to live afterwards, they tried to equip the souls at burial with items they might need (including sacrificing humans and animals to go with them for their use) and did things like giving food or money to spirits. This tradition continued through the Qin and Han Dynasty eras down to the present day. The Qin Emperor&apos;s huge Terracotta Army is an example of the elaborate expense that was showered on many other emperors and kings throughout history to benefit them in the afterlife, and most modern Chinese still offer food, spiritual money, and other items to their ancestors especially on select days such as the Hungry Ghost Festival and the Qingming Festival. People often sacrifice fresh fruit and food, but nowadays they often place plastic flowers and fruit at graves. Most Chinese might also worship at shrines of historical figures. Perhaps half of all Chinese still worship small idols representing dead historical figures such as successful generals. They place them in their houses and places of business. Zhou era Taoism, as described by the ancient texts, the Dao De Jing (道德經) and Zhuangzi (莊子), became China&apos;s largest native religion. Taoism predates Buddhism, which arrived in the early centuries AD from India. The wide Grand Canal stretching 1,794 km (1,115 miles) to Beijing follows in the mega-engineering tradition set by the Shang and Zhou. The Shang and Zhou also set a tradition for big construction and engineering projects. It is recorded that the first Xia king named King Yu was granted the Xia Kingdom at the age of 53 because he had been very successful in controlling the floods of the Yellow River through gargantuan engineering projects. He greatly increased agricultural output through his projects. He even carved out a channel through a valley for the river to flow through. Whether or not this story is true, following in the tradition, the Shang and Zhou dynasties and the various states of the Zhou era undertook unusually large construction and irrigation projects such as long defensive walls of the states of the Yan, Zhou and Qin that were built before the Qin Great Wall (215 BC) and the Dujiangyan irrigation and flood control project that was built in 256 BC. The succeeding ancient empires continued this political and economic policy. Large empires sometimes used millions of laborers for a single project such as the Grand Canal. Even in modern times, the building of mega construction projects such as the Three Gorges Dam, the biggest and most expensive dam project in the world, is inspired by this ancient tradition. As the Zhou Empire spread out from Shang territory after 1046 BC, their writing system enabled them to develop a sophisticated bureaucracy, science and advanced technology. Writing enabled them to promulgate a common philosophy and culture among the people they assimilated. During the Spring and Autumn period, the culture of the Zhou region transitioned from being one that was imposed by a powerful central dynasty to one that was shared among the states through trade, itinerant scholars such as Confucius, and annual attendance of rulers and officials at Zhou Dynasty rituals. The states had the hallmarks of Zhou Dynasty culture in common such as common religions such as early Taoism and Confucianism, common ideas of history and political philosophy, and similar technology and architectural styles. The Qin Dynasty imposed the common ancient culture on their large empire. The conquest of the region during the Warring States era by the Qin Empire marked the end of the Zhou ancient Chinese culture because the Qin court forcibly imposed a standard, somewhat artificial culture based on the Qin State culture on all the people they conquered. They attempted to forge a common culture and philosophy through forced migration, destroying conflicting books and writings, forbidding private schools for education, and killing philosophers and scholars. They imposed everything from imperial philosophy and religion to acceptable festivals, common weights and measures, writing, and language. The Qin were heavily authoritarian. The ancient culture forged by the Qin was passed on by empires of the Western Han and later dynasties. In the Han era, special academies were organized for mastering the ancient classics, and although trade, foreign invasions, foreign contact, and technological development has altered culture significantly over the past 2,000 years, the ancient cultural traits are still observable in modern Mainland culture. The nine traits of ancient culture explained above continue in modern China. Ancient culture is most observable during traditonal festivals, such as Chinese New Year, when people make an effort to keep up the old traditions, attend to clan burial places and temples, and perform rituals and customs of the past. Tourists can also learn about the ancient culture in the many museums that have been built to house the artifacts of archeological sites. The Terracotta Army Museum is a place to learn about the Zhou and Qin eras, and the Palace Museum (Forbidden City) has exhibitions of Shang and Zhou era relics and history. 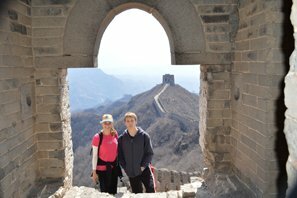 Our expert guides can facilitate discovering more of the Great Wall&apos;s ancient culture. 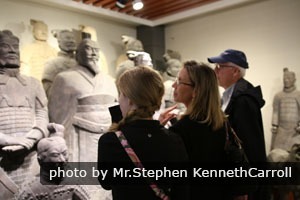 You can explore the Terracotta Army, the Great Wall and other ancient sites with us. 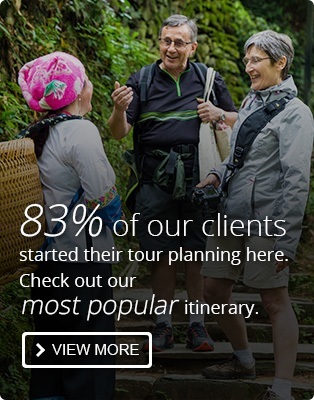 We are one of the largest private touring companies in China and have a great reputation on TripAdvisor. While traveling with us, YOU set the itinerary and can explore your interests. 4-Day Emperor&apos;s Tour of Beijing — Discover the ancient culture and history of Beijing with a knowledgeable guide. 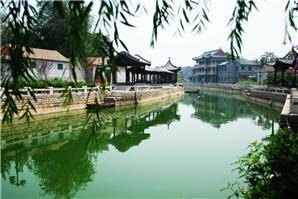 2-Day Xi&apos;an Panoramic Tour — have a panoramic view of this imperial city, its glorious history, and authentic food. Beyond the Golden Triangle Tour — Our 9-day Beijing–Xi&apos;an–Pingyao–Shanghai tour plan is designed particularly for history lovers. Riches of China Tour — Our 13-day Beijing–Xi&apos;an–Guilin–Hangzhou–Suzhou–Shanghai private tour can be tailor-made to focus on the ancient places. The Top 10 Museums in China: Visiting China&apos;s best museums is a fine way to learn about ancient Chinese culture.